Mould (or mold) is a term used to refer to fungi that grow in the form of multicellular thread-like structures called hyphae. Some moulds cause disease or food spoilage, others play an important role in biodegradation or in the production of various foods, beverages, antibiotics and enzymes. No. Of the 100,000+ types of mould there are only a few moulds that can cause infection in healthy humans. Regardless, the presence of mould should never be taken lightly. Exposure to certain moulds can cause?allergy and asthma in susceptible people?particularly those with?under developed or compromised immune systems such as infants, children and elderly. ?Other more powerful moulds produce chemicals called ?mycotoxins? that can produce illness in all animals and people regardless of immune system strength. Two of the better-known toxic moulds include Stachybotrys chartarum (“black mould”), which can cause everything from headaches to cancer, and Aspergillus, which can cause severe lung infections to whole-body infections. Where is mould usually found in a building? Mould is typically found anywhere there is material such as wood, paper or fabrics present; however, mould can grow on virtually any material including rock, concrete, plastic when the conditions are favourable. What causes mould to develop? Mould requires nutrients, water, oxygen and favourable temperatures to grow. Nutrients for mould are present in dead organic material such as wood, paper or fabrics; mould can also derive nutrients from some synthetic products such as paints and adhesives. Mould requires moisture, although some mould species can obtain that moisture from moist air when the relative humidity is above 70 per cent. Many moulds thrive at normal indoor temperatures; few if any moulds are able to grow below 0?C or above 40?C. Outside this range moulds may remain dormant or inactive; they may begin to grow again when the temperature is more favourable. How does mould get into a building? Moulds are decomposers of organic material such as wood, plants and animals. Mould and mould spores are found in high concentrations wherever there is dead matter such as a pile of leaves, manure or compost. Mould spores enter buildings through the air or on people, animals and objects that are brought into the building. Spores are small bundles of genetic material and chemicals (similar to seeds) that moulds make under certain conditions. Are there reliable test to indicate the presence of mould? Two effective mould detectors most of us have already are our eyes and our noses. If black or green discoloration is noticed, is fuzzy in appearance and is in a damp location, it is likely mould. If a building smells musty, there probably is mould somewhere; the mould may be on boxes stored in a basement or in walls or in the crawl space. If you want to find mould, look for the presence of water or a location where water was likely to have been. If there is still any question about whether the black stuff is mould, contact JK Environmental to examine the material. All you need to know is whether mould is seen when the material is examined under the microscope. An increasing number of companies are offering “air testing for mould.” On the surface this seems like a reasonable thing to do; however, the results of most air sampling for mould are meaningless for two reasons. Air sampling for mould was not developed to determine if an environment is safe or has a dangerous level of airborne mould. Air sampling was developed to help identify the location of a hidden reservoir of mould. If the source of mould is already identified, air sampling does not provide additional meaningful information. Furthermore, safe or toxic levels of airborne mould have not been established. An individual air sample for mould provides a “snapshot” of what was in the air during the few minutes of sampling. The results may not be indicative of the amount of mould that is in the air during most of the day. Air sampling for mould should be done either to obtain an answer to a question that cannot be answered without the air sampling or to obtain data as part of a research project. If mould is present, what is the best way to get rid of it? The answer depends on how much mould is present and where it is located. If the mould is on furnishings or boxes simply discard the materials. mouldy materials are not considered hazardous waste; they can be sent to a regular landfill. However, it is smart to seal the mould material in heavy plastic to protect the people who handle it in transit and prevent spreading large amounts of the mould into the building as you carry the material out of it. If the mould is on a hard surface but occupies less than 10 square feet wash the area with soapy water (scrubbing with a brush may be necessary), rinse and allow the area to dry before repainting. If you have asthma, severe allergies or a weak immune system get someone else to do the clean up. Larger areas (greater than 10 square feet in area) should be cleaned by an experienced and professional company. Should I use bleach to get rid of mould? No. Although bleach will kill and remove the colour of mould, it does not remove mould. Dead mould can still cause allergic reactions. It is not necessary to kill mould to remove mould. Soap and water and scrubbing can remove mould from hard surfaces. Most environmental protection agencies disease control centres and government health organizations agree that bleach or other biocides should not routinely be used to clean up mould. Is it possible to completely eliminate mould from the inside of a building? The answer depends upon what is meant by “completely eliminate mould.” To keep a building completely free of mould spores requires very efficient air filtration and is only accomplished in special situations such as hospital operating rooms and manufacturing “clean rooms.” Remember, mould spores are in the outside air virtually all the time and some of them will get inside buildings. However, it is possible to keep mould from growing inside a building. Moisture control is the key to controlling mould in interior spaces. Air filtration can contribute to lowering mould spores in the air but is secondary to moisture control. How do I know when the mould cleanup is complete? The mould cleanup is finished when there is no visible mould remaining and there is no dust or dirt remaining that could contain large amounts of mould and mould spores. Routine clearance testing for mould is not necessary. Leaving a few mould spores behind is not a problem if the underlying moisture problem has been corrected. Remember that mould spores are virtually everywhere. Even if all mould and mould spores are removed as part of the cleanup, spores from outside will re-enter that space. The spores won’t be able to grow unless water is also present. How does one know if a contractor is qualified to remove asbestos? Checking to ensure that the contractor has a good safety record and strives to maintain high expectations by checking if they have a COR Certificate is a good place to start. You can also check the BBB for complaints. A good resource for looking into how qualified an Asbestos Abatement Contractor is to contact Occupational Hygienist firms. The companies work with many Abatement companies on a daily basis and they can offer top vendors for your project. Is it recommended to hire a professional asbestos removal company? There are many abatement companies throughout Canada. Choosing which enters your home or business can be difficult. At JK Environmental we do background checks on all employees at time of hire to ensure we are confident in the crews we send out. We offer our employees top of the line industry training, the best in PPE and high standards in our work procedures to help our clients choose JK the first time and each time after that. 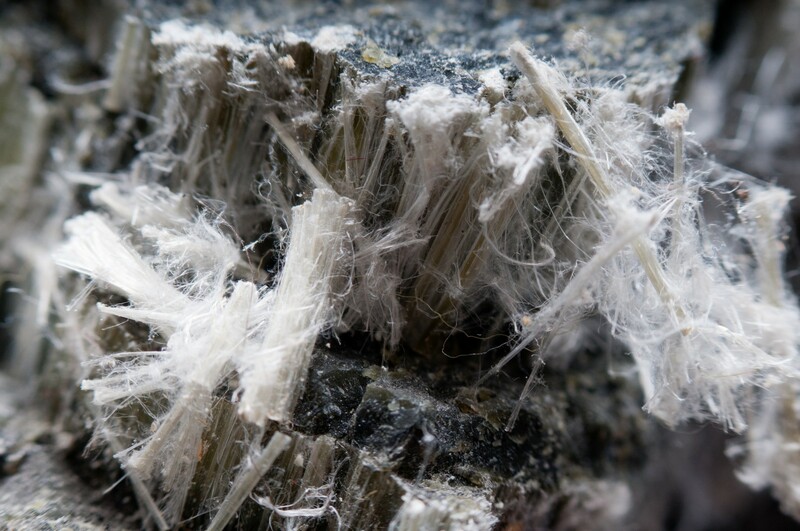 How can one be sure that asbestos is present? A good industry practice to check for Asbestos content in building materials should be checked in all construction pre 1991. There are several labs in the Edmonton Area who can check bulk samples, JK can collect these samples safely from your home or workplace.